How to convert a file of htm to bitmap? Here I will share you a way about file format conversion from htm to bitmap. I can finish the conversion from htm to bitmap in a few seconds no matter how many files I add to it. If you have a little doubt for what I said, please witness the wonder in the following article. 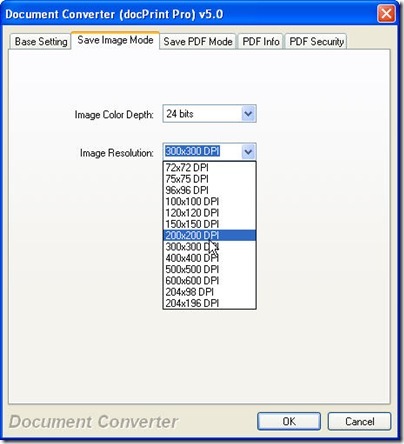 I do the conversion from htm to bitmap by software named Document Converter which can help me finish all the conversion from printable file to image file or PDF file. It also can be used as printer diver. When you use it as a diver, it can help you save a lot of ink, paper and precious time. As to the detail operation, please refer to the following part. 1. Download this software to your PC. It is totally free. However, if you use the full function version, you will find more surprise. And if you need to know about this application and buy its full function version, I guess, you have to go to its website. Link for you here: http://www.verypdf.com/artprint/index.html . When you click the downloading link, all you need to do is just flowing the reminder message. Then you can install this software to your PC. The icon on the desktop can tell you the installation success. Please open this software by double clicking its icon. It is not hard to find a button which is named as “Setting”. Click it; you can enter the main option tab. In the first tab named “Base Setting”, please choose the bitmap which is short as bmp as output file format in the drop-down list. In the tab named “Save image mode”, please set your desired image resolution and color depth. Please see the following picture for your reference. Add files needed converting is necessary for the conversion from htm to bitmap. 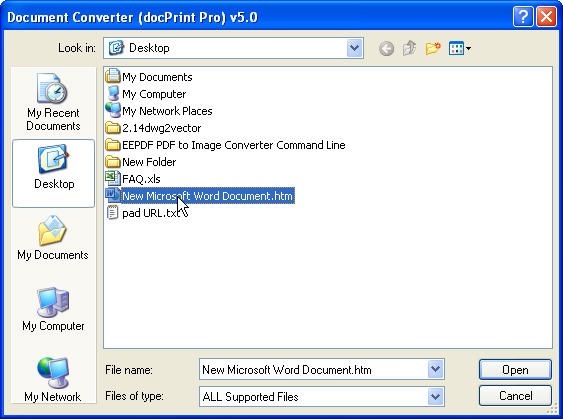 This task can be finished by dragging the files needed converting from its containing folder to the software interface. You can also click the button “Add files” to browse folders containing files. Last step is to choose the output folder. Click the button “Start”, you will be reminded to choose a folder to save the converted files. Meanwhile the conversion from htm to bitmap will be launched. The conversion will last a few seconds, and then you can use the bitmap file in the appointed folder. Here I will call an end for the conversion from htm to bitmap. Thanks for your reading. Can I retain all the layouts, text content, images and hyperlinks in the generated PPT presentations? Convert pcl to pcx and rotate page via command line? How to convert Webpage to PCD? How to convert documents of HTML to DIB? 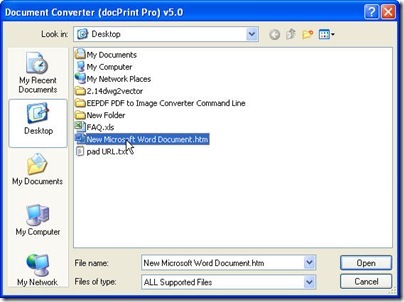 How to convert MS Office Word documents of doc to emf? How to convert documents of Microsoft Office PowerPoint to PSD?